None of us may ever match his level of greatness, and that’s okay. In addition to music, films, fashion, style and shade, Prince gave us more than enough lessons on how to live life and create. The death of Prince (I can’t believe I just typed that sentence) has created an outpouring of memorials, sharing of memories, and little-known information about the musical genius. One way that I am managing my grief, or maintaining my denial, depending on how you look at it, is by delving into the music, interviews, performances and any information I can find about The Artist. In the process, I have come across at least five lessons that Prince taught us about being a successful creative. From Jay-Z’s partnership with the more artist-friendly TIDAL, to Taylor Swift’s early refusal to have her catalog on Spotify or Apple Music, to Kanye’s claim in his infamous 2013 Sway in the Morning interview that “we all slaves,” talking about artistic ownership is in vogue now. In 1993, when Prince changed his name to an unpronounceable symbol and wrote the word “Slave” on his face, many in the media and the public passed it off as an eccentric stunt. Even as a fan, I hated the fact that when I felt like hearing a Prince song, I couldn’t just get on YouTube and get a quick listen of “Raspberry Beret” or watch the video for “Kiss.” Prince knew that the corporate model of music ownership was unnatural and often disadvantaged the artist whose music was selling the records and the tour tickets. He fought for himself and other artists to maintain ownership, and reached out to and counseled artists such as Toni Braxton, who were dealing with record label woes. The Lesson: Maintain ownership of as much of your work as you can. It is tricky in the internet age, but don’t give too much of your work or ownership away in the name of getting put on. For writers, one way to get the attention of major publications and content aggregators is to write personal essays. Particularly for writers from marginalized groups, there is a danger in sharing your most intimate details for clicks, shares and in rare occasions, a little money. You expose yourself to the same cruel, trolling, scrutinizing public that celebrities deal with, only without the security detail and sealed public records. Maintain a line between personal and private. Prince’s work was always personal, but his persona was rooted in mystery and privacy. Later in his career he granted few interviews, and the few journalists who did get to talk with the star were told that not only were they not allowed to record the interview, but they were not allowed to take notes. The Lesson: Similar to lesson number one, maintain ownership of your story, as well as your art. When Prince wasn’t here for you, you knew it. Ask Trey Songz. But when he was, he was firmly in your corner. 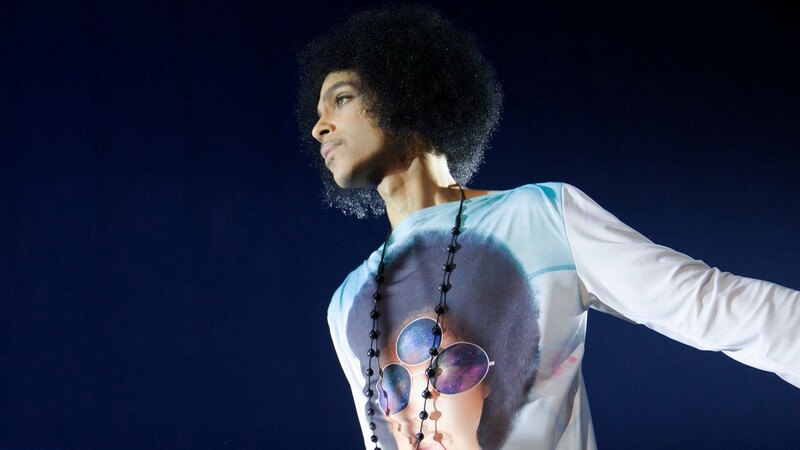 As if his own body of work isn’t enough, we have Prince to thank for mentoring Janelle Monae, Lianne La Havas, and the group KING, who he advised against entering a contract with a record label. This is to mention nothing of the artists who count Prince as a primary influence- Lenny Kravitz, D’Angelo, Alicia Keys, Miguel, The Weeknd, as well as the countless artists who have Prince’s DNA in their music. The Lesson: Mentoring a new artist is your creative duty, and not just for the feel-goods. If you want to live in a world where your art is always viable, you need to impress your influence on as many new ears, eyes and hearts as you can. Prince released almost 40 studio albums. Sources say that he has thousands of unreleased songs, and that he recorded nearly every day. In the book The War of Art, author Steve Pressfield says that one habit that separates amateur artists from professional artists is daily creation. The amateur works when they feel “inspired.” The professional knows that inspiration shows up when you do, and not a moment before. Creating often also allows you to get over the hump, as radio host Ira Glass calls it, the large divide between your ability and your tastes that all artists face in the beginning. The only way to leap over this gap is to make a lot of work. The Lesson: Create a lot. Whatever tools you own or have access to, create with them as frequently as you can. On Twitter Ani Dash has a great thread about all the ways in which Prince was an innovator, noting that he was one of the few artists to have access to a LinnDrum machine, one of the first programmable drum machines, in 1982. Years later, before crowdfunding was a trend, before bands like Radiohead went directly to fans and cut out record labels completely, Prince set up a website and distribution system to sell his 1997 album “Crystal Ball” through pre-orders via phone or the Internet. The Lesson: Stay on top of the tools in your field, and don’t be afraid to create some as you go along. Some of these tips are not for the faint of heart, but they can be adapted to serve your own artistic and business practices. In closing, Prince was unfiltered creativity. He was pop, but not because his music played to the lowest common denominator, but the highest. His work tapped into to the place that is most joyous, spiritual and creative in all of us. Prince made music we didn’t know we were waiting for.